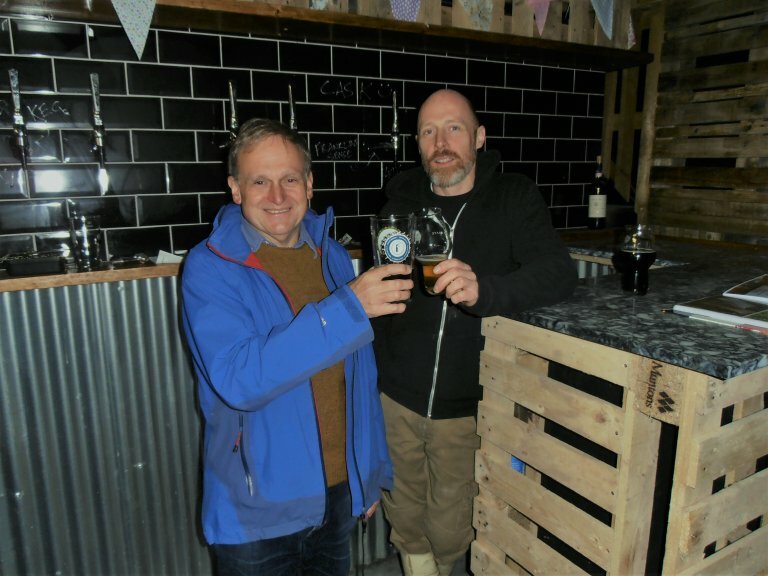 As it became clear that Franklins Brewery at Pebsham, Bexhill, could no longer keep up with volumes required, beer was being brewed in a number of locations which made things difficult for brewer Steve to keep tabs on everything. So it was imperative that suitable new premises were found quickly. Meanwhile, we in this CAMRA branch were anxious that Franklins should not move too far away, as it is a valued local brewery. So there was slight disappointment with the news that the new premises were to be those vacated by Turners at Ringmer, but relief that the destination was not to be too far out of the branch area. 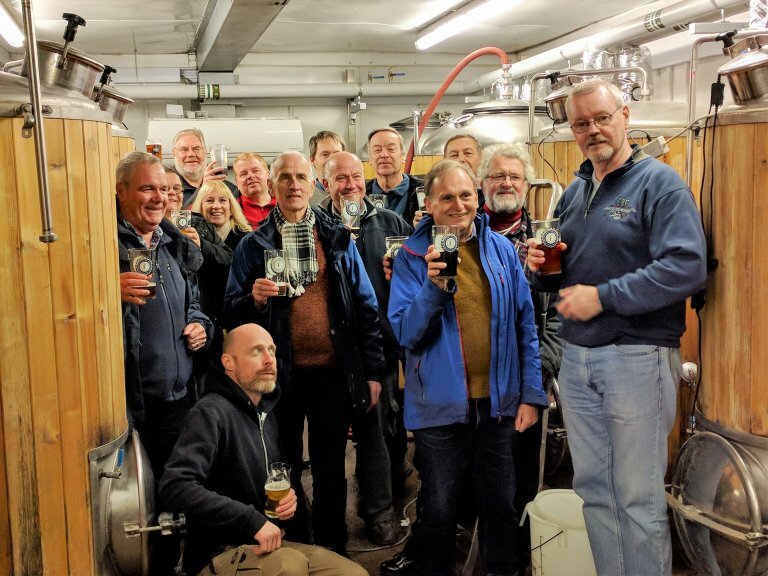 Even better news, because the new host CAMRA branch, Brighton & South Downs, has so many breweries with which to liaise, they asked that Mac, our branch BLO for Franklins, should continue in the role for the foreseeable future, so our close links with the brewery would continue. 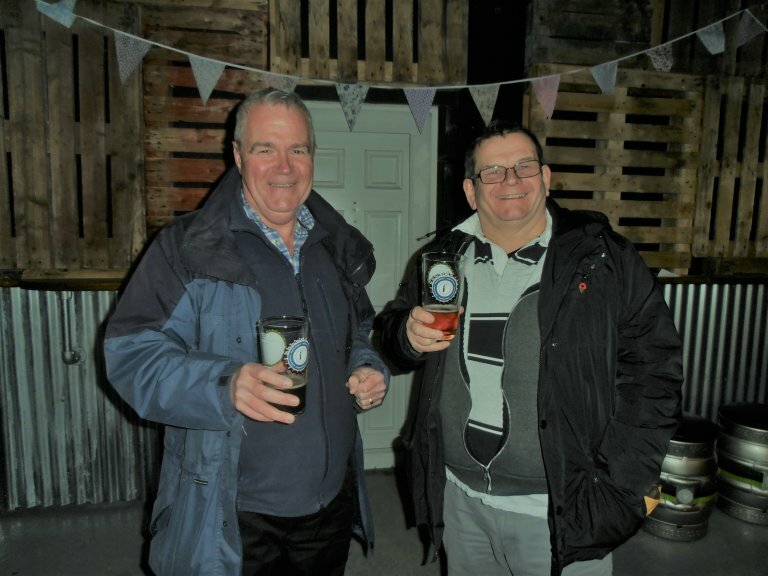 As soon as they had moved in, Andrew at the brewery had issued an invitation to the branch for a brewery visit, once everything was installed and organised in the new home in Ringmer. This was confirmed early in Autumn 2017 and once the branch had completed its work at the Winter Garden for the Eastbourne Beer Festival, a trip was arranged for the afternoon of 1st December. It had been thought that the number 28 bus, which makes its way through Lewes on its route to Ringmer’s Broyle Estate, passed the brewery, so for most participants it was suggested that a journey to Lewes, a break in one of the town’s pubs and then a bus journey was the way to go. Just before we went, it was realised that the bus only passed the brewery at certain times and when we needed it, it stopped short, so we ended up with a brisk walk along a grass verge, with one member’s knee ending up a casualty of this final part of the journey. All this was forgotten when we arrived at the brewery and found that among other beers, we were being treated to a new brew, a dark bitter beer, a combination of the two styles, which was perfect for just before Christmas. Our tour of the brewery gave us an insight into how much work the team had done to update and improve the premises vacated by the previous brewers. Much tidying up had also been done and the bar area built and smartened up. 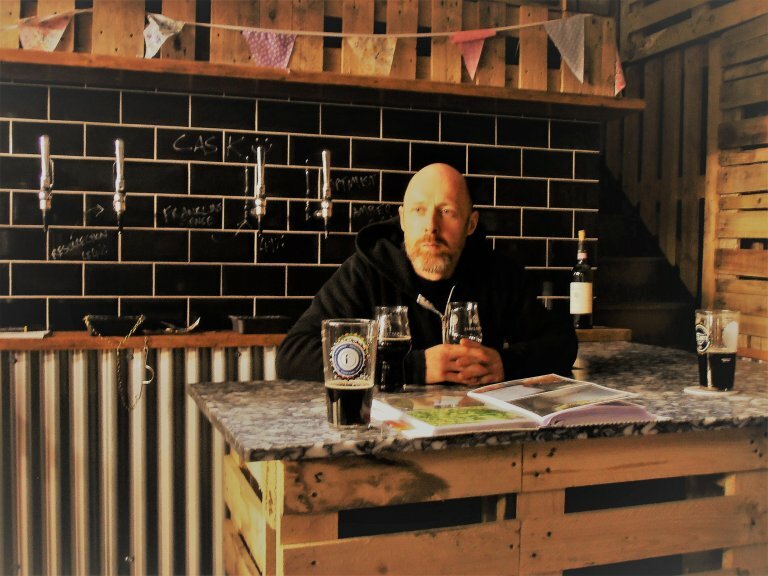 We were interested to hear from Steve about the trials and tribulations of having beer brewed in a variety of locations in the interim, of the work done to improve the brewery and getting the brewing back to a consistent standard once properly settled into the brewery. The new location means that different and larger population centres are in easy reach, but that old accounts are still within range. All too soon and after some excellent beer and some mutual ‘back slapping’ by Steve on behalf of the brewery and the Branch Chair on behalf of the Branch, both appreciating the efforts of each other, it was time to wend our way home. Those with cars kindly ran a shuttle to get those on the bus back to the bus stop and then those who had not consumed sufficient beer stopped off in Lewes for further sampling. A day enjoyed by all, for which thanks to Steve and the team for giving generously of their time and beer. Pictures: 1. CAMRA members toasting the brewery. 2. Branch Chair and Brewer toast each other’s organisations. 3. Brewer Steve behind his bar with the brewery scrapbook. 4. Branch Treasurer and Vice Chair find Franklins beer to their liking.